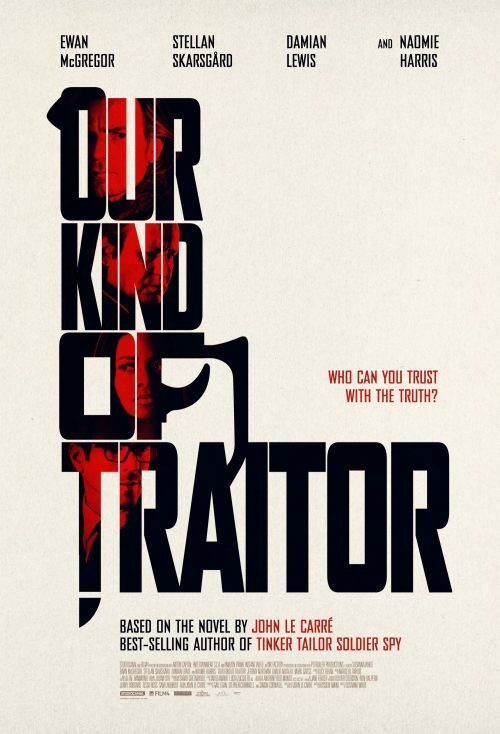 With Our Kind of Traitor already in UK cinemas, Studiocanal, has decided to release a new poster for the film. It’s probably the best one for the film as well. While on holiday in Marrakech, an ordinary English couple, Perry and Gail, befriend a flamboyant and charismatic Russian, Dima, who unbeknownst to them is a kingpin money launderer for the Russian Mafia. When Dima asks for their help to deliver classified information to the British Secret Services, Perry and Gail get caught in a dangerous world of international espionage and dirty politics. The couple is propelled on a perilous journey through Paris and Bern, a safe house in the French Alps, to the murky corners of the City of London and an alliance with the British Government via a ruthless and determined MI6 agent.